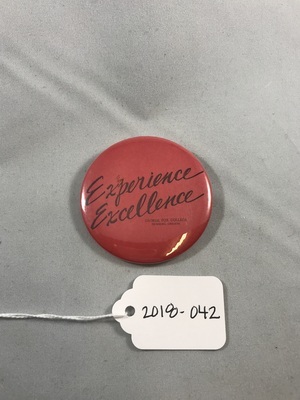 Pink button with "Experience Excellence" written in black cursive. Below states "George Fox College Newberg, Oregon." 2.25 inches across.